Government officials in the United States said Thursday that Russia is firing artillery across the border into Ukrainian territory, but refused to provide any evidence when grilled by an Associated Press reporter. Matthew Lee, a veteran AP journalist known for his frequent showdowns with spokespeople during US State Department briefings, raised questions about the latest claims during Thursday’s scheduled press conference. 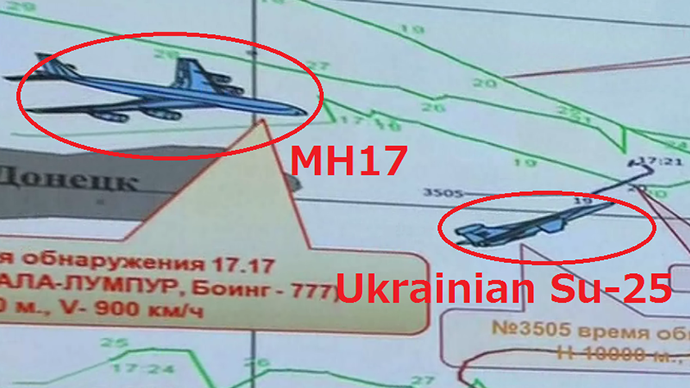 “We have new evidence that the Russians intend to deliver heavier and more powerful rocket launchers to the separatist forces in Ukraine, and have evidence that Russia is firing artillery from within Russia to attack Ukrainian military positions,” State Department spokeswoman Marie Harf told reporters during the Thursday afternoon briefing. 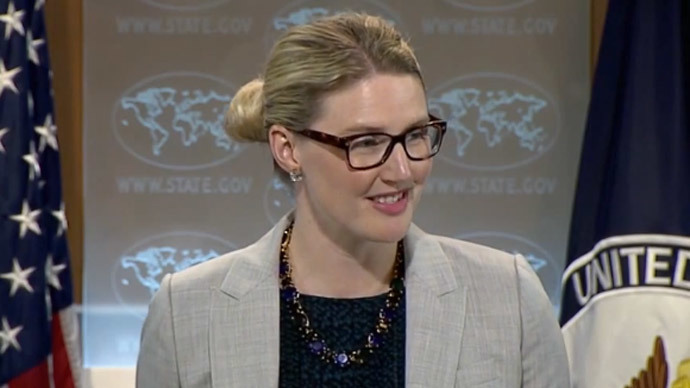 When asked by Lee for any evidence, however, Harf said the State Dept. is unwilling at this time to disclose further details because doing so could expose the secret intelligence operations involved in making such claims. “I would like to know what you’re basing this new evidence that the Russians intend to send any heavier equipment,” Lee asked. “I can’t get into the sources and methods behind it,” Harf insisted to Lee’s chagrin. “I can’t tell you what the information is based on,” she said at one point during the back-and-forth. “I think that it would be best for all concerned here if when you make an allegation like that you’re able to make it up with something more than just ‘because I said so,’” Lee countered. “You guys get up at the UN security council making these allegations , the secretary [of the State Dept., John Kerry] gets on the Sunday shows and makes these allegations, and then when you present your evidence to back up those allegations, it has appeared to, at least for some, fall short of definitive proof,” Lee continued. For now, Harf said, “the rest of the world… has seen these separatists shot down a dozen planes,” and can rely on the admission of a militia leader who took credit for downing a Ukrainian plane as being among the “preponderance of evidence” available to the public. 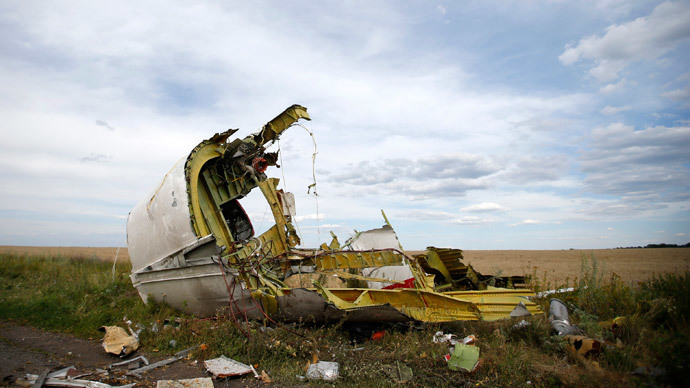 Previously, the US ambassador to the United Nations said “it is impossible to rule out Russian technical assistance” with regards to the surface-to-air missiles blamed for taking down MH17 last Thursday. 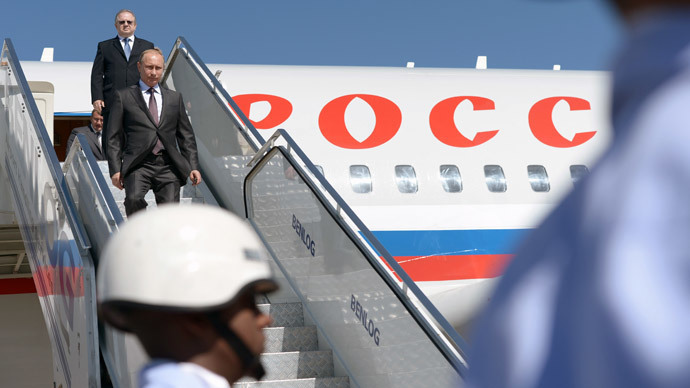 In the week since, however, the Obama administration has been unable to directly link Moscow to the event. 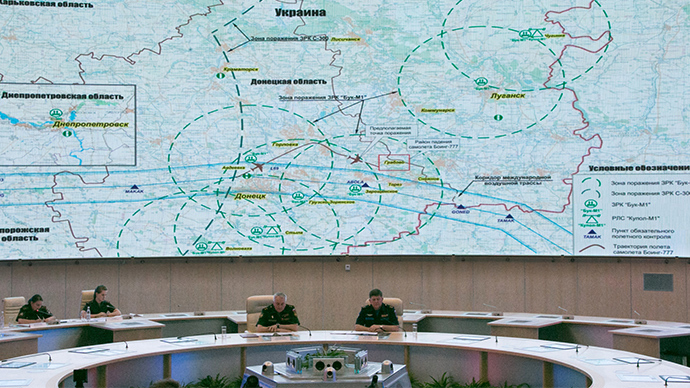 During a highly publicized intelligence briefing where US officials were expected to present an assessment of MH17 downing on Tuesday, government representatives were forced to admit that no evidence currently points towards any Russian involvement. "[W]e don't know a name, we don't know a rank and we're not even 100 percent sure of a nationality,” one official at the briefing told the AP this week. 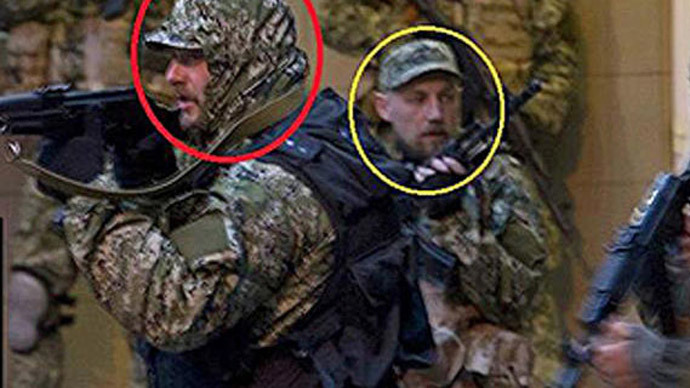 Other evidence touted by the administration as supposed proof of Russia’s involvement in the crisis has turned out to be inaccurate, including images purported to show the Russian military fighting alongside an anti-Kiev militia printed by the New York Times later reported to be an “incorrect” representation.